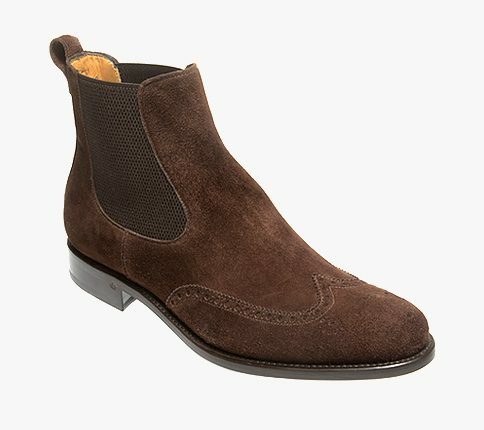 The original design of the Chelsea boot has been credited to Queen Victoria’s shoemaker J.Sparkes Hall, he patented the design in 1851 and Queen Victoria was said to have worn them on country walks. In 1960s London they had a revival with the boots taking the name of Beatles boots for many years. These Bristol brogued toecap Chelsea boots have been made in navy cashmere suede with a leather toe cap, with brogue detail, that make them feel ready worn in straight from the box. As with all Chelsea boots and shoes for that matter, use the shoe horn provided, it makes life so much easier.